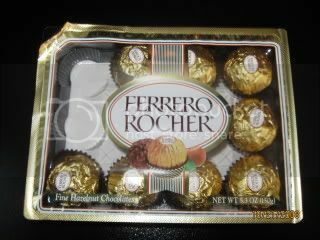 This is one of my Favorite chocolate aside from the M&M Peanut, I love eating this and I won't get tired of eating this, except that I have to control myself for I don't want to get sick in the end. When my hubby bought me these yummy chocolcate, I go gaga over this and I could not even wait to eat the next piece on the next day. Usually after he bought this, on the next day its all empty. Lol! We'll his kinda disappointed because I never left him even just a single one. I can't resist eating them all. It's like they are calling me to eat them all.